Scout national recruiting director Brandon Huffman and his family are waiting on a miracle. In case you weren’t already aware, the Huffmans revealed Tuesday their six-year-old daughter Avery, the third of their three children, has been diagnosed with Diffuse Intrinsic Pontine Glioma (DIPG), an inoperable, malignant tumor in her brain. Life expectancy for those with DIPG ranges from one month (with no treatment) to two years (with the maximum amount of treatment.) Just as you would do if this particular brand of lightning struck your family, the Huffmans are doing everything they can to provide Avery with the maximum amount of treatment. Part of that means setting up a donation page on Caring Bridge, and part of it means leveraging the hell out of Brandon’s work connections. 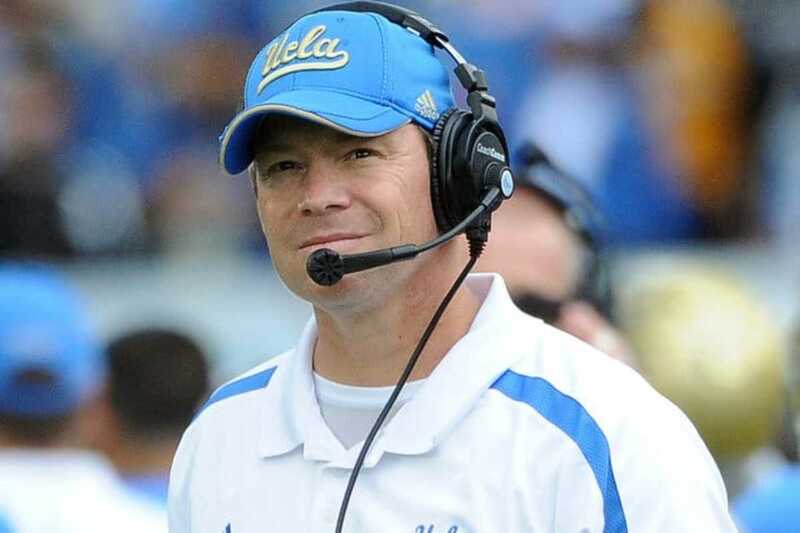 Enter Jim Mora. The UCLA head coach has stepped up to offer a number of packages for those willing to donate to Avery’s campaign. Again, this money doesn’t go to UCLA, all of it – up to $20,000 if all four packages are sold – goes straight to the campaign to save Avery Huffman’s life. 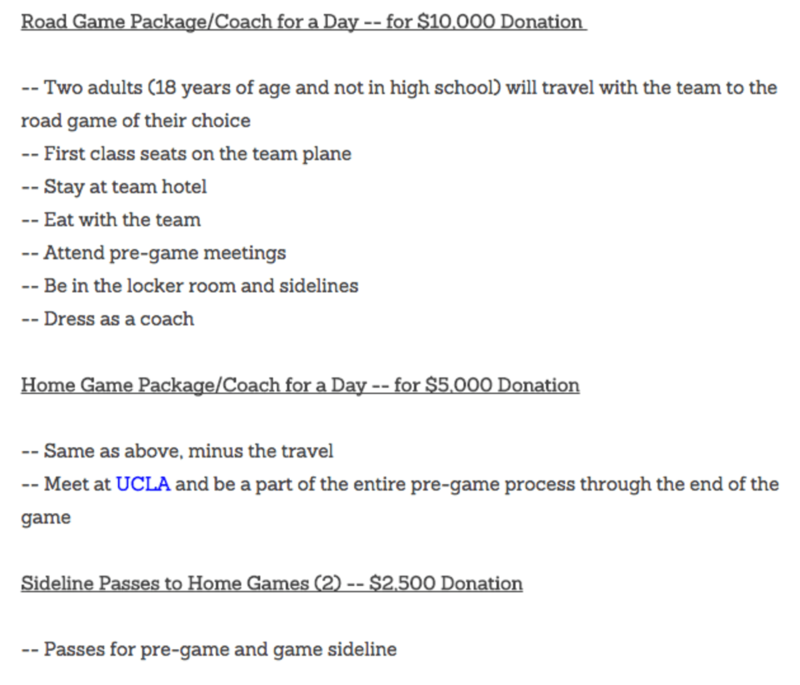 And if you’re a UCLA fan that always wanted a behind-the-curtain experience and the means purchase one of these packages, well, why in the world wouldn’t you?